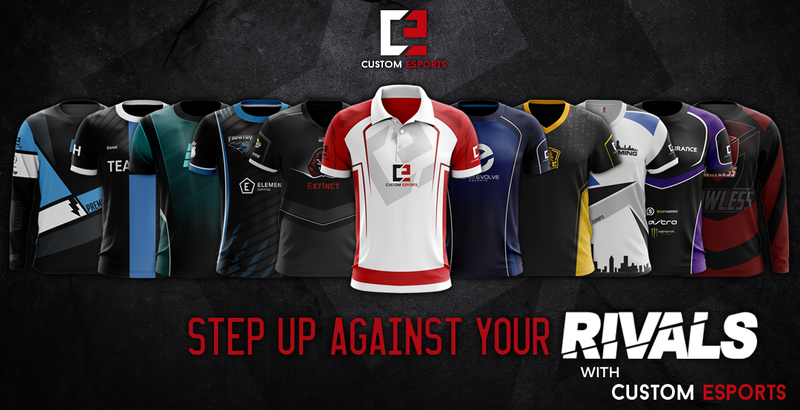 At Custom Esports we believe in supporting the esports community and providing a way for small esports teams to make money. That’s why we have a sponsorship program that anyone can join. This sponsorship program is based on an affiliate scheme, to begin with, which then moves towards a full apparel/monetary sponsorship. All sponsors start on our affiliate scheme. First, you need to sign up to our affiliate scheme here. Make sure when you’re signing up that your username is the username and custom link you want (Top Tip: use your team name as your username). After you’ve signed up, go to your email. You will get two emails from us. One confirming your sign up and one with an email verification link. If you have not got the email verification email please check your spam. Click the link in the email verification email. After clicking the link in the email verification email you will be taken to the login page, from here login with the information you used when you signed up. If you want to login to your account at a later date you can click the Sponsorship Account Page link. The first thing you should do is go to Profile > Payment Settings and insert your PayPal ID so you can get paid when you reach the $100 threshold. Next, you need to go to Marketing > Your Links and Marketing > Banners. Under Marketing > Your Links you can view your specific link and your link builder for promoting any page on our website and being credited for it. Under Marketing > Banners are all the pre-made banners that we have created for you that you can use for social media and placing on your website all in a variety of sizes. All other sections of your sponsorship account are for reporting, creating campaigns, seeing who you’ve referred, editing your settings and seeing your payments. As you rise in the ranks feel free to contact us to discuss further sponsorship such as a partial/full apparel sponsorship or a monetary sponsorship.